 C-C Li, Y. Dong, Y. Xu, F. Chiclana, E. Herrera-Viedma, F. Herrera. An overview on managing additive consistency of reciprocal preference relations for consistency-driven decision making and Fusion: Taxonomy and future directions. Information Fusion, Vol. 52, 2019, Pages 143-156..
 F. Padillo, J.M. Luna, F. Herrera, S. Ventura. Mining Association Rules on Big Data through MapReduce Genetic Programming. Integrated Computer-Aided Engineering. M.J. Basgall, W. Hasperué, M. Naiouf, A. Fernandez, F. Herrera. SMOTE-BD: An Exact and Scalable Oversampling Method for Imbalanced Classification in Big Data. Journal of Computer Science & Technology 18:3 (2018) 203-209. R. M. Rodríguez, Y. Xu, L. Martínez, F. Herrera. Exploring Consistency for Hesitant Preference Relations in Decision Making: Discussing Concepts, Meaning and Taxonomy.. Journal of multiple-valued logic and soft computing, 30:2-3 (2018) 129-154. Li, C-C., Y. Dong, F. Herrera, E. Herrera-Viedma, and L. Martínez. Personalized individual semantics in Computing with Words for supporting linguistic Group Decision Making. An Application on Consensus reaching. Information Fusion 33:1 (2017) 29-40. S. García, S. Ramírez-Gallego, J. Luengo, F. Herrera. 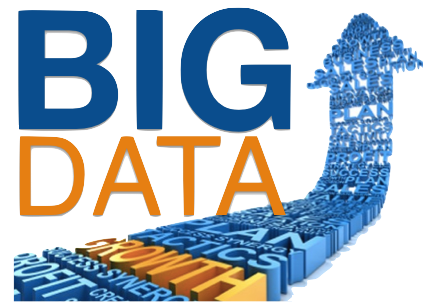 Big Data: Preprocesamiento y calidad de datos. Novática (Revista de la Asociación de Técnicos de Informática), Monografía Big Data, 237 (2017) 17-23..
 S. Tabik, D. Peralta, A. Herrera-Poyatos, F. Herrera. A snapshot of image pre-processing for convolutional neural networks: case study of MNIST. International Journal of Computational Intelligence Systems 10 (2017) 555-568. P. Morales, J. Luengo, L.P.F. Garcia, A.C. Lorena, A.C.P.L.F. de Carvalho and F. Herrera. The NoiseFiltersR Package: Label Noise Preprocessing in R. The R Journal 9:1 (2017) 219-228. F. Herrera. Big data: Procesando los datos en la sociedad digital. Revista de Física 28:4 (2014) 40-44. D. Torres-Salinas, N. Robinson-García, E. Jiménez-Contreras, F. Herrera, E. Delgado López-Cózar. On the Use of Biplot Analysis for Multivariate Bibliometric and Scientific Indicators. Journal of the American Society for Information Science and Technology 64:7 (2013) 1468-1479. J. Alcalá-Fdez, A. Fernandez, J. Luengo, J. Derrac, S. García, L. Sánchez, F. Herrera. KEEL Data-Mining Software Tool: Data Set Repository, Integration of Algorithms and Experimental Analysis Framework. Journal of Multiple-Valued Logic and Soft Computing 17:2-3 (2011) 255-287. D. Torres-Salinas, E. Delgado-López-Cózar, J G Moreno-Torres, F. Herrera. Rankings ISI de las universidades españolas según campos científicos: Descripción y resultados. El Profesional de la Información 20:1 (2011) 111-122. D. Torres-Salinas, J G Moreno-Torres, E. Delgado-López-Cózar, F. Herrera. A methodology for Institution-Field ranking based on a bidimensional analysis: the IFQ2A index. Scientometrics 88:3 (2011) 771-786. D. Torres-Salinas, J G Moreno-Torres, N. Robinson-García, E. Delgado-López-Cózar, F. Herrera. Rankings ISI de las universidades españolas según campos y disciplinas científicas (2ª ed. 2011). El Profesional de la Información 20:6 (2011) 701-711. J. Alcalá-Fdez, N. Flugy-Pape, A. Bonarini, F. Herrera. Analysis of the Effectiveness of the Genetic Algorithms based on Extraction of Association Rules. Fundamenta Informaticae 98:1 (2010) 1001-1014. L. Martinez, D. Ruan, F. Herrera. Computing with Words in Decision support Systems: An overview on Models and Applications. International Journal of Computational Intelligence Systems 3:4 (2010) 382-395. S. García, F. Herrera. Evolutionary Under-Sampling for Classification with Imbalanced Data Sets: Proposals and Taxonomy. Evolutionary Computation 17:3 (2009) 275-306. S. García, J.R. Cano, E. Bernadó-Mansilla, F. Herrera. Diagnose of Effective Evolutionary Prototype Selection using an Overlapping Measure. International Journal of Pattern Recognition and Artificial Intelligence 23:8 (2009) 1527-1548. S. Alonso, F.J. Cabrerizo, F. Chiclana, F. Herrera and E. Herrera-Viedma. An Interactive Decision Support System Based on Consistency Criteria. Journal of Multiple-Valued Logic & Soft Computing 14:3-5 (2008) 371-385. S. García, F. Herrera. An Extension on "Statistical Comparisons of Classifiers over Multiple Data Sets" for all Pairwise Comparisons. Journal of Machine Learning Research 9 (2008) 2677-2694. F. Herrera. Genetic Fuzzy Systems: Status, Critical Considerations and Future Directions. International Journal of Computational Intelligence Research (IJCIR) 1:1 (2005) 59-67. O. Cordón, F. Herrera, F.A. Márquez, A. Peregrin. A Study on the Evolutionary Adaptive Defuzzification Methods in Fuzzy Modelling. International Journal of Hybrid Intelligent Systems 1:1 (2004) 36-48. F. Chiclana, F. Herrera, E. Herrera-Viedma. A Study on the Rationality of Induced Ordered Weighted Operators Based on the Reliability of the Information Sources for Aggregation for Group Decision-Making. Kybernetika 40:1 (2004) 121-142. O. Cordón, I. Fernández de Viana, F. Herrera. 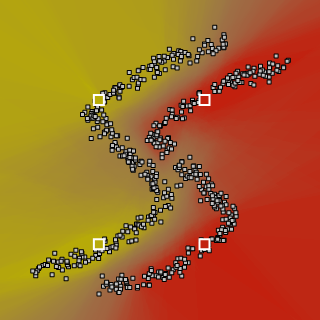 Analysis of the Best-Worst Ant System and its Variants on the TSP. Mathware and Soft Computing 9:2-3 (2002) 177-192. O. Cordón, F. Herrera, T. Stützle. A Review of the Ant Colony Optimization Metaheuristic: Basis, Models and New Trends. Mathware and Soft Computing 9:2-3 (2002) 141-175. J.R. Cano, O. Cordón, F. Herrera, L. Sánchez. A Greedy Randomized Adaptive Search Procedure Applied to the Clustering Problem as an Initialization Process Using K-Means as a Local Search Procedure. International Journal of Intelligent and Fuzzy Systems 12 (2002) 235-242. F. Herrera, L. Martínez. The 2-tuple Linguistic Computational Model. Advantages of its linguistic description, accuracy and consistency. International Journal of Uncertainty, Fuzziness and Knowledge-Based Systems 9:suppl. (Sept. 2001) 33-48. O. Cordón, F. Herrera, P. Villar. Generating the Knowledge Base of a Fuzzy Rule-Based System by the Genetic Learning of Data Base. IEEE Transactions on Fuzzy Systems 9:4 (2001) 667-674. J. Casillas, O. Cordón, F. Herrera, M.J. Del Jesus. Genetic Feature Selection in a Fuzzy Rule-Based Classification System Learning Process for High-Dimensional Problems. Information Sciences 136:1-4 (2001) 135-157. F. Herrera, M. Lozano. Adaptative Genetic Operators Based on Coevolution with Fuzzy Behaviors. IEEE Transactions on Evolutionary Computation 5:2 (2001) 149-165. O. Cordón, F. Herrera, L. Magdalena, P. Villar. A Genetic Learning Process for the Scaling Factors, Granularity and Contexts of the Fuzzy Rule-Based System Data Base. Information Science 136 (2001) 85-107. F. Chiclana, F. Herrera, E. Herrera-Viedma. Integrating Multiplicative Preference Relations in a Multipurpose Decision Making Model Based on Fuzzy Preference Relations. Fuzzy Sets and Systems 122 (2001), 277-291. F. Herrera, L. Martínez. A model based on linguistic 2-tuples for dealing with multigranularity hierarchical linguistic contexts in Multiexpert Decision-Making. IEEE Transactions on Systems, Man, and Cybernetics. Part B: Cybernetics 31:2 (2001) 227-234. F. Chiclana, F. Herrera, E. Herrera-Viedma. Multiperson Decision Making Based on Multiplicative Preference Relations. European Journal of Operational Research 129 (2001) 372-385. O. Cordón, F. Herrera. Hybridizing Genetic Algorithms with Sharing Scheme and Evolution Strategies for Designing Approximate Fuzzy Rule-Based Systems. Fuzzy Sets and Systems 118:2 (2001) 235-255. F. Herrera, E. López, C. Mendaña, M.A. Rodríguez. A Linguistic Decision Model for Personnel Management Solved with a Linguistic Biobjetictive Genetic Algorithm. Fuzzy Sets and Systems 118:1 (2001) 47-64. F. Herrera, L. Martínez. A 2-tuple Fuzzy Linguistic Representation Model for Computing with Words. IEEE Transactions on Fuzzy Systems 8:6 (2000) 746-752. F. Herrera, L. Martínez. An Approach for Combining Numerical and Linguistic Information based on the 2-tuple fuzzy linguistic representation model in Decision Making. International Journal of Uncertainty , Fuzziness and Knowledge -Based Systems 8:5 (2000) 539-562. F. Herrera, M. Lozano. Two-Loop Real-Coded Genetic Algorithms with Adaptive Control of Mutation Step Sizes. Applied Intelligence 13:3 (2000) 187-204. O. Cordón, F. Herrera, P. Villar. Analysis and Guidelines to Obtain a Good Fuzzy Partition Granularity for Fuzzy Rule-Based Systems using Simulated Annealing. International Journal of Approximate Reasoning 25:3 (2000) 187-215. O. Cordón, F. Herrera. A Proposal for Improving the Accuracy of Linguistic Modeling. IEEE Transactions on Fuzzy Systems 8:3 (2000) 335-344. F. Herrera, M. Lozano. Gradual Distributed Real-Coded Genetic Algorithms. IEEE Transactions on Evolutionary Computation 4:1 (2000) 43-63. F. Herrera, E. Herrera-Viedma. Choice Functions and Mechanisms for Linguistic Preference Relations. European Journal of Operational Research 120 (2000) 144-161. F. Herrera, E. Herrera-Viedma, L. Martinez. A Fusion Approach for Managing Multi-Granularity Linguistic Term Sets in Decision Making. Fuzzy Sets and Systems 114 (2000) 43-58. O. Cordón, F. Herrera, A. Peregrín. Searching for Basic Properties Obtaining Robust Implication Operators in Fuzzy Control. Fuzzy Sets and Systems 111:2 (2000) 237-251. F. Herrera, E. Herrera-Viedma. Linguistic Decision Analysis: Steps for Solving Decision Problems under Linguistic Information. Fuzzy Sets and Systems 115 (2000) 67-82. O. Cordón, F. Herrera. A Two-Stage Evolutionary Process for Designing TSK Fuzzy Rule-Based Systems. IEEE Transactions on Systems, Man,and Cybernetics. Part B: Cybernetics Vol. 29:6 (December 1999) 703-715. O. Cordón, F. Herrera, A. Peregrín. A Practical Study on the Implementation of Fuzzy Logic Controllers. The International Journal of Intelligent Control and Systems 3 (1999) 49-91. F. Herrera, M. Lozano, C. Moraga. Hierarchical Distributed Genetic Algorithms. International Journal of Intelligent Systems 14:11 (1999) 1099-1121. O. Cordón, M. J. del Jesus, F. Herrera, M. Lozano. MOGUL: A Methodology to Obtain Genetic fuzzy rule-based systems Under the iterative rule Learning approach. International Journal of Intelligent Systems Vol. 14:11 (1999) 1123-1153. F. Herrera, E. López, C. Mendaña, M.A. Rodríguez. Solving an Assignment-Selection Problem Under Linguistic Valuations with Genetic Algorithms. European Journal of Operational Research 119:2 (1999) 326-337. O. Cordón, M.J. del Jesus, F. Herrera. A Proposal on Reasoning Methods in Fuzzy Rule-Based Classification Systems. International Journal of Approximate Reasoning Vol. 20 (1999), 21-45. O. Cordón, F. Herrera, L. Sánchez. Solving Electrical Distribution Problems Using Hybrid Evolutionary Data Analysis Techniques. 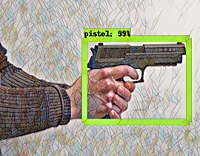 Applied Intelligence 10 (1999) 5-24. O. Cordón, M.J. del Jesus, F. Herrera. 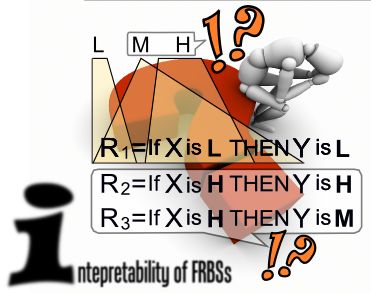 Analyzing the Reasoning Mechanisms in Fuzzy Rule-Based Classification Systems. Mathware and Soft Computing. Vol. 5: 2-3 (1998), 321-332. O. Cordón, M.J. del Jesus, F. Herrera. Genetic Learning of Fuzzy Rule-Based Classification Systems Cooperating with Fuzzy Reasoning Methods. International Journal of Intelligent Systems 13:10-11 (1998) 1025-1053. F. Herrera, M. Lozano, J.L. Verdegay. A Learning Process for Fuzzy Control Rules using Genetic Algorithms. Fuzzy Sets and Systems 100 (1998) 143-158. M. Delgado, F. Herrera, E. Herrera-Viedma, L. Martinez. Combining Numerical and Linguistic Information in Group Decision Making. Information Sciences 107 (1998) 177-194. F. Herrera, M. Lozano, J.L. Verdegay. Tackling Real-Coded Genetic Algorithms: Operators and tools for the Behaviour Analysis. Artificial Intelligence Review 12 (1998) 265-319. F. Chiclana, F. Herrera, E. Herrera-Viedma. Integrating Three Representation Models in Fuzzy Multipurpose Decision Making Based on Fuzzy Preference Relations. Fuzzy Sets and Systems 97 (1998) 33-48. O. Cordón, M.J. del Jesus, F. Herrera, M. Lozano. Modelado Cualitativo Utilizando una Metodología Evolutiva de Aprendizaje Iterativo de Bases de Reglas Difusas. Revista Iberoamericana de la Asociación Española para la Inteligencia Artificial. Num. 5 (1998), 56-61. F. Herrera, E. Herrera-Viedma, J.L. Verdegay. Choice Processes for Non-Homogeneous Group Decision Making in Linguistic Setting. Fuzzy Sets and Systems. Vol. 94 (1998) 287-308. F. Herrera, E. Herrera-Viedma. Aggregation Operators for Linguistic Weighted Information. IEEE Transactions on Systems, Man and Cybernetics. 27 (1997) 646-656. O. Cordón, F. Herrera. A Three-Stage Evolutionary Process for Learning Descriptive and Approximative Fuzzy Logic Controller Knowledge Bases from Examples. International Journal of Approximate Reasoning 17:4 (1997) 369-407. A. Gonzalez, F. Herrera. Multi-Stage Genetic Fuzzy Systems Based on the Iterative Rule Learning Approach. Mathware and Soft Computing 4:3 (1997) 233-249. F. Herrera, J.L. Verdegay. Fuzzy Sets and Operations Research. Perspectives. Fuzzy Sets and Systems 90:2 (1997) 207-218. F. Herrera, M. Lozano, J.L. Verdegay. Fuzzy Connectives Based Crossover Operators to Model Genetic Algorithms Population Diversity. Fuzzy Sets and Systems. Vol. 92-1 (1997) 21-30. F. Herrera, L. Magdalena. Genetic Fuzzy Systems. Tatra Mountains Mathematical Publications Vol. 13, 1997, 93-121. R. Mesiar,B. Riecan(Eds.) Fuzzy Structures. Current Trends. 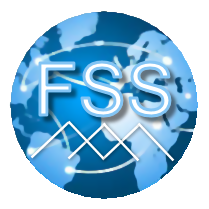 L. N. Tutorial: Genetic Fuzzy Systems.7th IFSA World Congress,Prage,June 97. F. Herrera, E. Herrera-Viedma, J.L. Verdegay. Linguistic Measures Based on Fuzzy Coincidence for Reaching Consensus in Group Decision Making. International Journal of Approximate Reasoning 16 (1997), 309-334. F. Herrera, E. Herrera-Viedma, J.L. Verdegay. A Rational Consensus Model in Group Decision Making using Linguistic Assessments. Fuzzy Sets and Systems Vol. 88:1 (1997), 31-49. O. Cordón, F. Herrera, A. Peregrín. Applicability of the Fuzzy Operators in the Design of Fuzzy Logic Controllers. Fuzzy Sets and Systems Vol. 86:1 (1997), 15-41. F. Herrera, M. Lozano, J.L. Verdegay. Dynamic and Heuristic Fuzzy Connectives-Based Crossover Operators for Controlling the Diversity and Convengence of Real Coded Genetic Algorithms. Int. Journal of Intelligent Systems Vol. 11 (1996) 1013-1041. F. Herrera, J.L. Verdegay. Fuzzy Control Rules in Optimization. International Journal of Science & Technology: Scientia Iranica. Vol. 3. no. 1,2,3 (1996) 89-96. O. Cordón, F. Herrera, E. Herrera-Viedma, M. Lozano. Genetic Algorithms and Fuzzy Logic in Control Processes. Archives of Control Sciences. Vol. 5 (1996) 135-168. F. Chiclana, F. Herrera, E. Herrera-Viedma, M.C. Poyatos. A classification method of alternatives for multiple preference ordering criteria based on fuzzy majority. The Journal of Fuzzy Mathematics 4 (1996) 801-813. F. Herrera, J.L. Verdegay. Fuzzy Boolean Programming Problems with Fuzzy Cost: A general study. Fuzzy Sets and Systems Vol. 81 (1996) 57-76. F. Herrera, E. Herrera-Viedma, J.L. Verdegay. Direct Approach Processes in Group Decision Making using Linguistic OWA operators. Fuzzy Sets and Systems 79 (1996) 175-190. F. Herrera, E. Herrera-Viedma, J.L. Verdegay. A model of consensus in group decision making under linguistic assessments. Fuzzy Sets and Systems 78 (1996) 73-87. F. Herrera, E. Herrera-Viedma, J.L. Verdegay. A Linguistic Decision Process in Group Decision Making. Group Decision and Negotiation. 5 (1996) 165-176. F. Herrera, M. Lozano, J.L. Verdegay. The Use of Fuzzy Connectives to Design real-Coded Genetic Algorithms. Mathware and Soft Computing. Vo. 1:3 (1995) 239-251. F. Herrera, E. Herrera-Viedma, J.L. Verdegay. Preference Degrees over Linguistic Preference Relations in Decision Making. Operational Research and Decisions 3 (1995) 37-48. F. Herrera, E. Herrera-Viedma, J.L. Verdegay. A Sequential Selection Process in Group Decision Making with a Linguistic Assessment Approach. Information Science 85 (1995) 223-239. F. Herrera, J.L. Verdegay. Three Models of Fuzzy Integer Linear Programming. European Journal of Operational Research 83 (1995) 581-593. F. Herrera, M. Lozano, J.L. Verdegay. Algoritmos Geneticos: Fundamentos, Extensiones y Aplicaciones. ARBOR CLII 597 (1995) 9-40. F. Herrera, M. Lozano, J.L. Verdegay. Algoritmos Geneticos con Parametros Reales. NOVATICA, May/jun 115 (1995) 36-41. E. Cárdenas, J.C. Castillo, O. Cordón, F. Herrera, A. Peregrín. Applicability of T-Norms in Fuzzy Control. BUSEFAL 61 (1995) 28-36. F. Herrera, M. Lozano, J.L. Verdegay. Applying Genetic Algorithms in Fuzzy Optimization Problems. Fuzzy Systems and A.I.-Reports and Letters 3 (1994) 39-52. F. Herrera, J.L. Verdegay. Fuzzy Almost Integer Variables in Integer Programming Problems. The Journal of Fuzzy Mathematics 2:2 (1994) 259-270. F. Herrera, M. Kovacs, J.L. Verdegay. Homogeneous Linear Fuzzy Functions and Ranking Methods in Fuzzy Linear Programming Problems. International Journal on Uncertainty, Fuzziness and Knowledge-based Systems 2:1 (1994) 25-35. E. Cárdenas, J.C. Castillo, O. Cordón, F. Herrera, A. Peregrín. Influence of Fuzzy Implication Functions and Defuzzification Methods in Fuzzy Control. BUSEFAL 57 (1994) 69-79. F. Herrera, M. Kovacs, J.L. Verdegay. A Parametric Approach for (G,P)-Fuzzified Linnear Programming Problems. The Journal of Fuzzy Mathematics 1:3 (1993) 699-713. F. Herrera, J.L. Verdegay, H.-J. Zimmermann. Boolean Programming Problems with Fuzzy Constraints. Fuzzy Systems and Systems 55:3 (1993) 285-293. F. Herrera, M. Kovacs, J.L. Verdegay. Optimality for Fuzzified Mathematical Programming Problems: A Parametric Approach. Fuzzy Systems and Systems 54:3 (1993) 279-285. M. Delgado, F. Herrera, J.L. Verdegay, A. Vila. Post-optimality Analysis on the Membership Functions of a Fuzzy Linear Programming Problem. Fuzzy Systems and Systems 53:3 (1993) 289-297. F. Herrera, M. Kovacs, J.L. Verdegay. An Optimum Concept for Fuzzified Linear Programming Problems: A Parametric Approach. Tatra Mountains Mathematical Publications 1 (1992) 57-64. M. Delgado, F. Herrera, J.L. Verdegay, M.A. Vila. Fuzzy Linear Programming Problems with Nonlinear Membership. Fuzzy Systems and A.I. Reports and Letters 1:1 (1992) 33-49.